I went to a rare live Van Dyke show and met him there. And then he came to a show of mine and we spoke back stage. 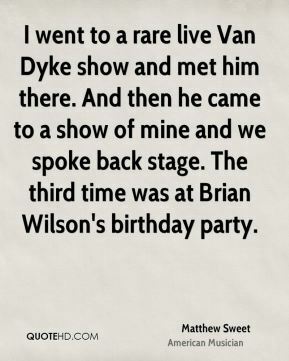 The third time was at Brian Wilson's birthday party. 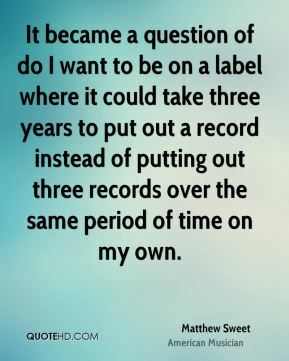 It became a question of do I want to be on a label where it could take three years to put out a record instead of putting out three records over the same period of time on my own. More labels should be like that. 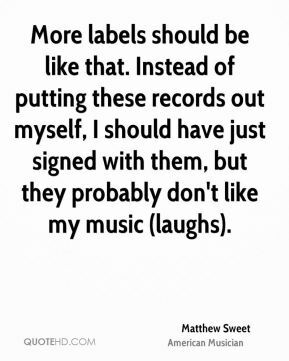 Instead of putting these records out myself, I should have just signed with them, but they probably don't like my music (laughs). My family lives there, so I come back sometimes between shows for a couple days. I get back a couple times a year. When I was 30 to 34 I was weirded out when I came back - you know, how your past gets away from you. It's grown so much. So it helped me to just let go of all my tensions and feelings about that world and say 'OK, this is for my fans in Japan. They'll be nice and get into it and have fun.' And it was the first record I made at my home studio. The openness of rural Nebraska certainly influenced me. That openness, in a way, fosters the imagination. But growing up, Lincoln wasn't a small town. It was a college town. It had record stores and was a liberal place. 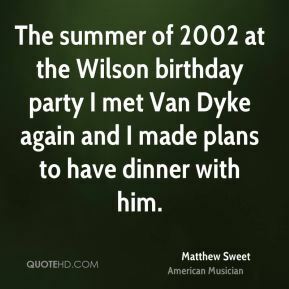 The summer of 2002 at the Wilson birthday party I met Van Dyke again and I made plans to have dinner with him. 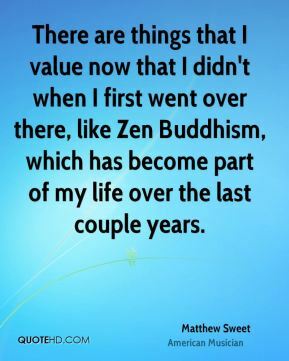 There are things that I value now that I didn't when I first went over there, like Zen Buddhism, which has become part of my life over the last couple years. They said, 'If we put you in first class with Brian, will you do it?' So I flew after not having flown in eight years. 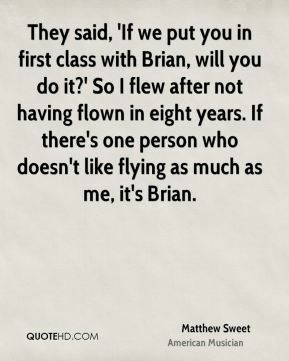 If there's one person who doesn't like flying as much as me, it's Brian. When I did the record, I was coming off a time when my contract had been sold and the music industry had changed a lot. 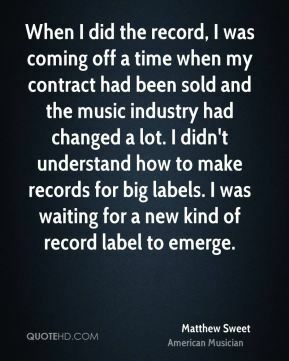 I didn't understand how to make records for big labels. I was waiting for a new kind of record label to emerge. 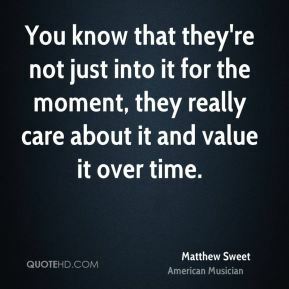 You know that they're not just into it for the moment, they really care about it and value it over time. Back then, we could drive a mile from home and there was nothing. Now it's grown in every direction and is populated and modernized. 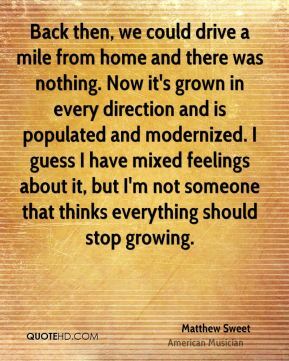 I guess I have mixed feelings about it, but I'm not someone that thinks everything should stop growing. Girlfriend and 100 Percent Fun were my two peeks, around '92 and '96. 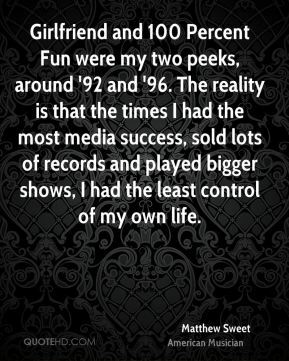 The reality is that the times I had the most media success, sold lots of records and played bigger shows, I had the least control of my own life. He helped make Living Things even more crazy than I wanted it to be. 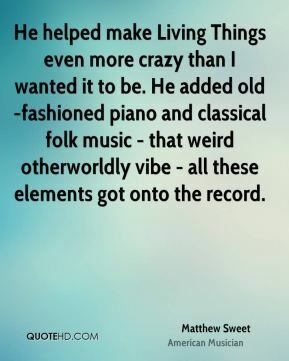 He added old-fashioned piano and classical folk music - that weird otherworldly vibe - all these elements got onto the record. 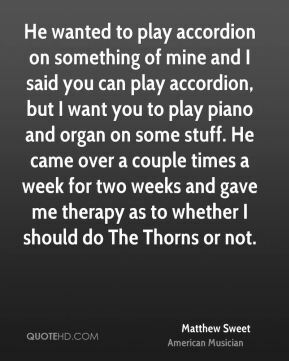 He wanted to play accordion on something of mine and I said you can play accordion, but I want you to play piano and organ on some stuff. He came over a couple times a week for two weeks and gave me therapy as to whether I should do The Thorns or not. 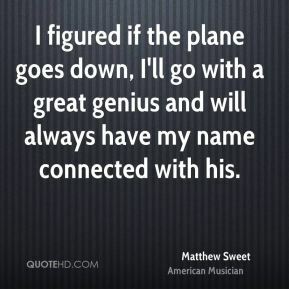 I figured if the plane goes down, I'll go with a great genius and will always have my name connected with his. I have more perspective now, and am happier now. It's not that I don't want success, but I now know I can have success at a lower level and make much more money doing it by myself. 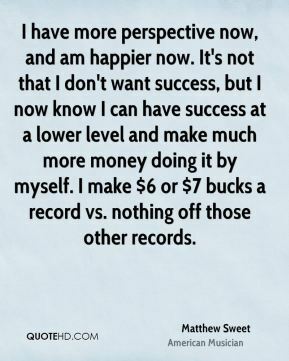 I make $6 or $7 bucks a record vs. nothing off those other records. 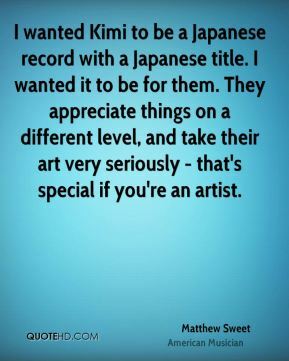 I wanted Kimi to be a Japanese record with a Japanese title. I wanted it to be for them. They appreciate things on a different level, and take their art very seriously - that's special if you're an artist.